BMW are not slavish followers of fashion. The Bavarian company resolutely goes its own way, largely ignoring the trends elsewhere yet sustaining a peerless reputation for excellence. For decades the BMW way was based around a single engine format, the horizontally-opposed 'Boxer' twin evolved from Max Friz' original design of 1923. But 12 years ago, in the face of growing performance expectations fuelled by Japanese and Italian Superbikes, they produced their first modern multi. Although a four, like so many others, it was again uniquely BMW. For not only did the engine sit fore-and-aft in the frame, but it also lay on its side. It was immediately christened the 'Flying Brick'. BMW are nothing if not different. From the original1l000cc 8-valve K100 of 1983 evolved a 750cc triple, the K75. Both engines were torque rose from 74lb.ft at a fairly giddy (for BMW) 6750rpm to 79lb.ft at a comparatively sedate 5500. More telling still is the sheer spread of torque: at a mere 2000rpm, the engine is three-quarters as grunty as it ever gets. Putting this to the road is the familiar BMW five speed gearbox, via the even more traditional dry, single plate clutch and shaft final drive. But, for a marque once maligned for its gearchange, the latest BMWs are as positive and slick as big bikes come. This doesn't translate - quite - into neck-snapping getaways. At 550lb, the RS is too heavy for that. But, allied to supremely well-metered electronic fuel injection, it does translate into a relentless responsiveness that few other machines can match. The suspension, whilst still fairly softly-sprung, is far better controlled than on BMWs of a decade ago. At the rear is the unique Paralever system first introduced on the GS twin. Using a Japanese Showa shock, its geometry is complex, but is an attempt both to increase stability and reduce the inbuilt tendency of shaft drive to compromise the action of the rear suspension. On both counts, it works well. The front suspension is less radical than the Telelever fitted elsewhere in the BMW range. Superficially, it uses 42mm telescopic forks similar to those on the 100RS often years ago. That was a vague, wallowy device, but the 1100's action is altogether firmer and better damped. High-speed stability is excellent, as befits a long-haul sports tourer. Nonetheless this is a heavy, tall and rather cumbersome motorcycle better suited to autobahns than back roads. 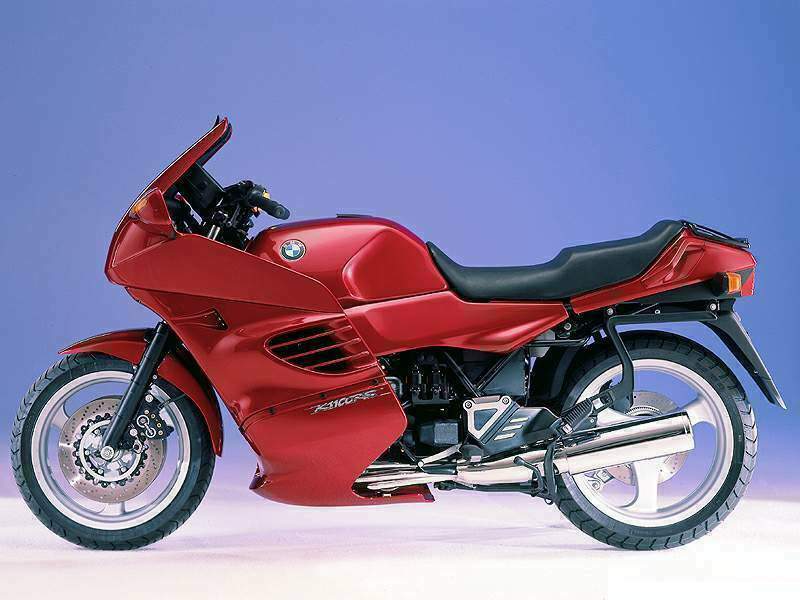 BMWs are often described as more than the sum of their parts, and the K1100RS is no exception. The riding position and seat come together to provide one of the kindest, most relaxed perches in motorcycling, whilst the excellent fairing minimises rider fatigue. The Brembo brakes, with ABS standard in the UK, are superb. 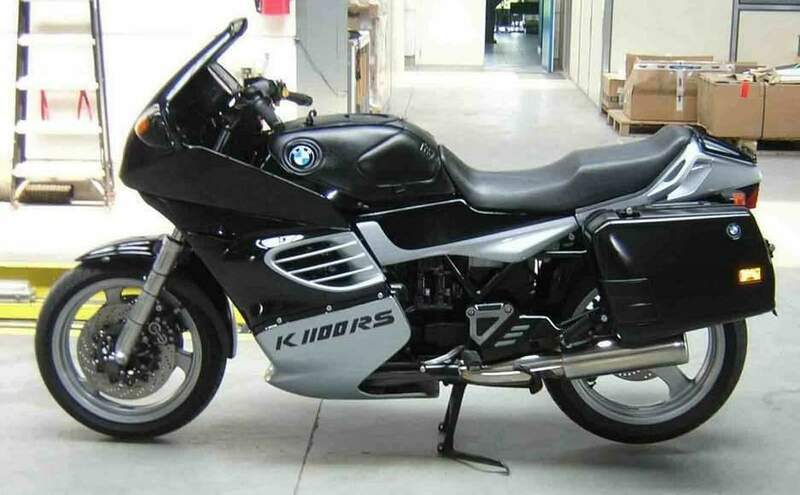 Add the usual BMW build quality, classy, timeless looks, an extensive range of luggage and accessories, and the K1100RS comes together as the grand tourer supreme.